Lightcast Photography is an award-winning, 5-Star rated photography company on The Knot, Wedding Wire, Facebook and Google. “Adam, these photos are more beautiful than anything I could have ever expected. I am literally sobbing while typing this email! You are really just SO incredible. I’m always captivated by how you retell such personal and intimate moments in so many lives, complete with the perfect pictures. I look back at my wedding album filled with your photos and remember exactly what I was feeling in each of them. A full spectrum of excitement and realization, a moment of random panic, and the most beautiful and pure sense of joy and partnership. I am not easy to take pictures of and, somehow, you managed to remove the awkwardness and capture some of the most real and most special moments of my life. You allow everyone to share others’ experiences by diving so deeply into them each and every time, each with the same passion as the last. You are a special kind of person, and people who find you to be the photographer on their most precious events are so incredibly lucky. Thank you so much again for the stories and photos we all get to see of perfect strangers, and especially thank you for capturing the absolute greatest day in my life, that is continuing to lead my husband (Adam Spaet) and I into the most loving and important and deep relationship of my life. The days keep getting better, and the love and respect for each other keep growing deeper and stronger every single day. It literally blows my mind. For you to get to participate in such intense occasions in peoples lives is just incredible. Love is just the best. I never want to forget any of this day. This album is my treasure. You were the absolute best person for the job." "Thank you Adam on doing an amazing job for Katie and Brendan's engagement pictures. You truly captured who they are .. It was almost like you knew them long before the appointment. They look so happy and the setting was perfect and the way you captured how they feel about each other was incredible. It was like they were just out together and you were just watching them interact and captured those special moments... Thank you again ...you have a gift!" Adam, thank you so much. Eric and I would both like to extend our deepest gratitude. Personally, it is no small feat that there are photos of me with a full smile and laughter. We joked about it but I am wildly uncomfortable in front of a camera and usually have only one face in photos. I am glad we got to spend that time with these engagement photographs because now I’m fully confident that our wedding day will show what emotions we want to convey and that I can just be comfortable and happy and trust the photos to be what they are. Thank you for indulging our silliness and I’m looking forward to more chances to capture the dynamic Eric and I have. "Adam does such amazing work. We used him for our engagement pictures, wedding and many more to come before the end of the year! He is so caring, and knows exactly what he is doing. We like him so much, he's almost like part of the family!" "Adam is an amazing photographer with a natural and beautiful eye for the world. He doesn't try to fit into trends and instead just shoots the most crisp, honest, and naturally beautiful images possible. I've worked with Adam on many projects and when I get married, I want him to shoot my wedding. That says a lot coming from a life long photographer." "Adam was the photographer for my wedding a couple weeks ago. I did a lot of research before choosing a photographer because my fiancé was picky about who we chose. Adam got back to us right away and met up with us a month before the wedding so we could get to know each other a little bit. On our wedding day, he was so good to all our guests and able to get everybody where they needed to be for photos. He captured lots of action shots which was really neat to see those pictures. It was obvious that he really cared about getting the best possible photos for us. We couldn't have asked for a better photographer." "Adam has a strong passion for photography and it shows in his work. He really takes his time to produce visually stunning photos! I would describe his style as a blend of symmetry, structure, spontaneity and color. He uses all of these thing in just the right amount. Just look at his work, the photos speak for themselves! He is also just great to work with. He won't rush you, and he will give some direction as needed, but never too posed or cheesy." The Intro Package includes a beautiful engagement photography session. This is important, not only because we will get beautiful photographs for you to cherish forever, but also because it is a time for me to really get to know you both. The couples I photograph are not just customers to me; they are people who have given me the honor to capture the beauty of their special day and this is a perfect time for you both to get comfortable with me and getting your photographs taken. Then, we go to the big day! After years of wedding photography and hundreds of thousands of photographs, I simply do not miss a single moment of your beautiful day. With the Intro Package, I show up the second you are ready to start your day. This means beautiful candid photographs of you and your bridesmaids finishing their hair, putting their jewelry on and lots of laughter (and maybe champagne!). This means I capture all of the beautiful emotion as you prepare to walk down the aisle, a day you have dreamed of since you were a little girl. But that's only one side of the group. I also capture the men getting ready, the smiles and camaraderie between the groom and his best men. The emotion in the moment as he prepares to marry his best friend, his partner in life. Then I am with you for six hours, through every step of your wedding, in between and at your reception. Capturing hundreds of photographs for you in every moment, both posed and all those perfect candid moments in between... The pictures that make you smile every day you look at them, for the rest of your life. The pictures you have always dreamed of. The photographs are delivered to you on a USB flash drive, catered specifically to you, with all of the photography in full resolution. These are your photographs to keep. For the rest of your life. When you see all of your photographs, you can let me know any prints you would like and I will have it delivered to your doorstep in less than a week! This day is all about you both. You deserve it. You deserve someone who is there through every second, both on the big day and before it. That's why this package includes a 60-minute hour engagement session and ALL DAY coverage on your wedding day. But, this day is too perfect to miss a second of. That's why this package also includes a second shooter, to be with you every moment of the day, making sure we are capturing every moment that is indescribably beautiful and natural. Capturing the sparkle in your eye as you see yourself with your dress on. Capturing the bridesmaids as they get their hair done. Capturing the moments of reflection and sisterhood that comes in such a powerful moment. And, while she is with you, I am with the groom and his group capturing the behind-the-scenes moments. The quiet moments of reflection and thought, as he prepares to marry his best friend. The beautiful, unique moments that are so special to the both of you. I am with you from the start and I do not go home until you're ready to go home. And the second shooter is there with us most of the day, capturing gorgeous supplemental shots during every beautiful minute. That way, we do not miss a single special moment on your big day. But, we also want to say thank you for choosing Lightcast Photography. We know there are other options out there and we want to really show you how much we appreciate you. That's why we will include our wedding print package, complete with four 8x10's and ten 5x7's of your favorite four images. All professionally printed and delivered to your doorstep. This will be the photographs that sit on your mantle for as long as you live, lasting even generations past your love. 1 lead photographer (Adam Schluter) + a secondary photographer! There is simply not a better wedding package available out there. Let's face it. Weddings are a lot of planning and a lot of work. So, let us help you take a bit off of your plate. This package includes a 90-minute engagement photography session, with your perfect photographs of your true love for one another. Unlimited locations and unlimited outfit changes (as much as we can fit into that time-frame). But let's really make sure this is the perfect package. How about ALL DAY coverage on your special day? This means that we show up as early as you want and leave the reception only when you have danced your heart out and are heading back to fall asleep for the night. We do not miss a single second in-between. You get me and a second photographer. And we are really confident you are going to have so many photographs that you will cherish from the day... So we want to give you a way to bring them home with you. 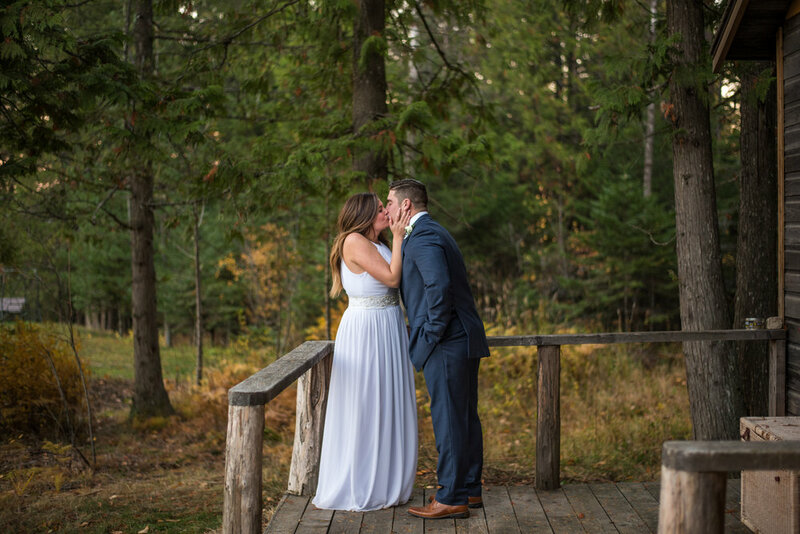 This package includes our dream wedding printing package: Ten 8x10's, twenty 5x7's and, best of all, a fully designed, professional wedding album for you to keep forever. This is over $1,200 in printing, included as a genuine thank you for choosing me to be a part of your special day. Fully-prepared and delivered to your doorstep. 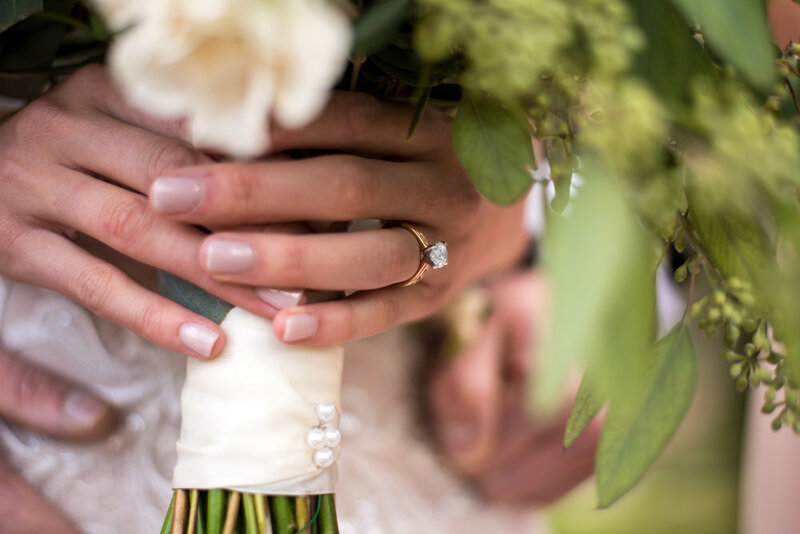 So why not book this package, pour yourself a glass of wine and put your feet up... Knowing that every single part of photographing your wedding day will be in the hands of award-winning, professional photographers and graphic designers. You deserve it. Please fill out the form below and let us know a little more about you. We will personally respond to you and make sure every detail is perfect for your special day. We thank you so much for your email. We cannot wait to talk with you more about your perfect day!